Storytelling is the foundation of a literate society. Read the 2019 Simpson/Joyce Carol Oates Prize Winner press release. The Simpson Literary Project fosters new literature, supports authors, and enhances the lives of readers, writers, educators, and students in diverse communities in California and the nation. The work is powered by generous contributions of altruistic individuals, as well as supportive family foundations and corporate sponsors. The Simpson Literary Project promotes and nurtures creative writing by high-school age writers in and out of schools. The Lafayette Library and Learning Center Foundation and the University of California, Berkeley, English Department combine resources to serve readers and writers of all generations. Each spring an internationally celebrated author is appointed Writer-in-Residence at the Lafayette Library and Learning Center Foundation. The author’s presence enriches and illuminates the lives of readers, writers, students and librarians throughout the Bay Area. The Simpson/Joyce Carol Oates Prize of $50,000 is awarded yearly to an author of fiction at the relatively middle stage of a burgeoning career. 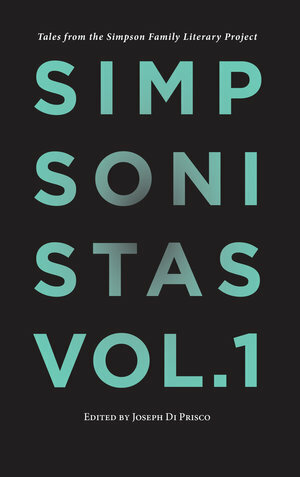 Simpsonistas: Tales from the Simpson Family Literary Project, Vol. 1 highlights brilliant work by associates of the Simpson Project: Joyce Carol Oates, Anthony Marra, T. Geronimo Johnson, Samantha Hunt, Lori Ostlund, Martin Pousson, Ben Fountain, and many others, including Simpson Fellows as well as young writers appearing for the first time in print. A crucial democratic principle infuses the Simpson Literary Project: literature creates community and inspires literacy. We all tell stories. At its most empowering, telling stories leads to literacy. Read more. Sign up to stay up to date on Simpson Literary Project news and events.